The holidays present challenges to those trying to healthy eating, and for people with diabetes, maybe even more so. It seems that everywhere you look, there is food. Freshly baked breads, cookies, casseroles, potatoes, candy and more. At least 50% of my patients have diabetes and therefore, I spend a lot of time talking about diabetic- friendly meal plans. When you go to a holiday party, you may not find many healthy dishes there. So a great way to help you stick to your meal plan is to bring one yourself. This way, you can fill your plate with healthy choices. For some tasty holiday recipes, try my Christmas Salad and Orange Glazed Brussel Sprouts and Sweet Potatoes. MinuteClinic also offers DASH-friendly recipes each week. Check out the #FoodieFriday recipes. It’s also important to watch your portion sizes, especially if you do choose to partake of less healthy dishes. If you want to indulge, try to stick to one small portion of dessert. This will help keep your blood sugar levels in target range. There are many protein rich holiday foods that taste great without being too indulgent. Try hummus with vegetables, a deviled egg, salmon or chicken for snacks or as part of your meal. Protein helps fill you up without having an effect on your blood sugar. My grilled salmon chopped Greek salad is a great way to fill up with healthy protein. People with diabetes may know that counting carbs is one diabetes meal planning strategy. So if you are trying to cut down on carbs, avoid drinking sugary beverages. These have lots of carbohydrates, and still don’t fill you up. Choose water or tea to quench your thirst, in order to save your carbs for something tastier--like cheesy potatoes! 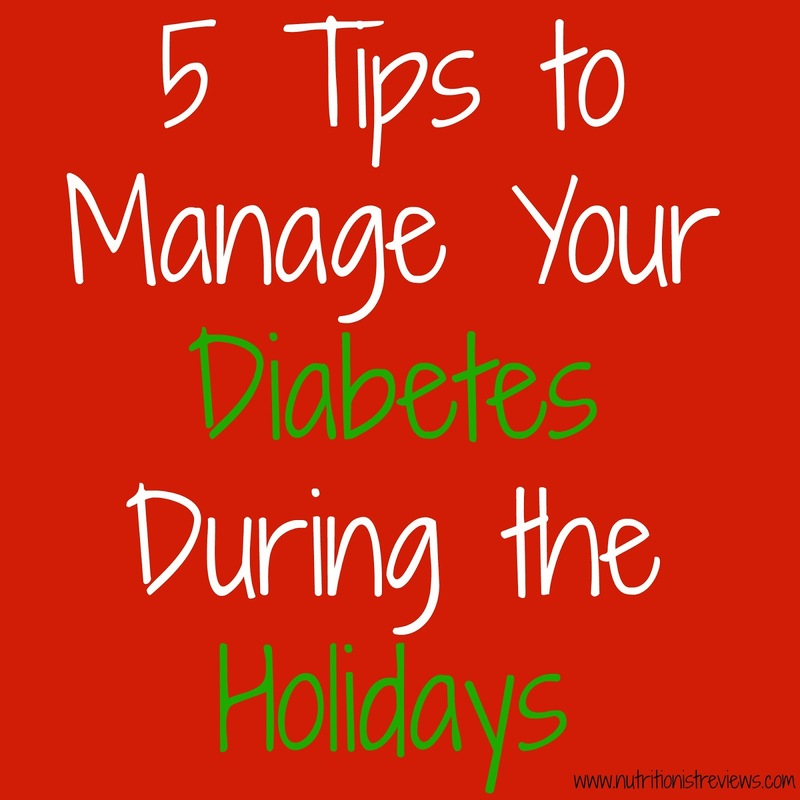 Keeping your A1C, Blood Pressure and Cholesterol levels under control is always important, but becomes more of a task around the holidays. MinuteClinic offers many important services to help people manage their diabetes, including diabetes monitoring and diabetes screenings. Check out this clinic locator to find the closest MinuteClinic. According to the Centers for Disease control, people with diabetes (as well as people with heart disease and seniors) are at a higher risk for complications from the flu. So make sure you get your flu shot! 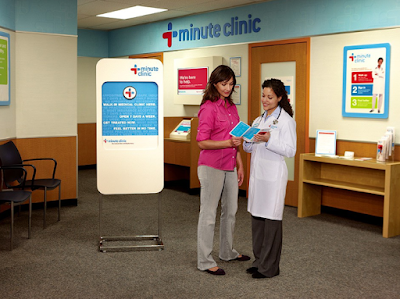 MinuteClinic offers quick and convenient flu shots. It’s where I have gone to get my flu shots the last two years! 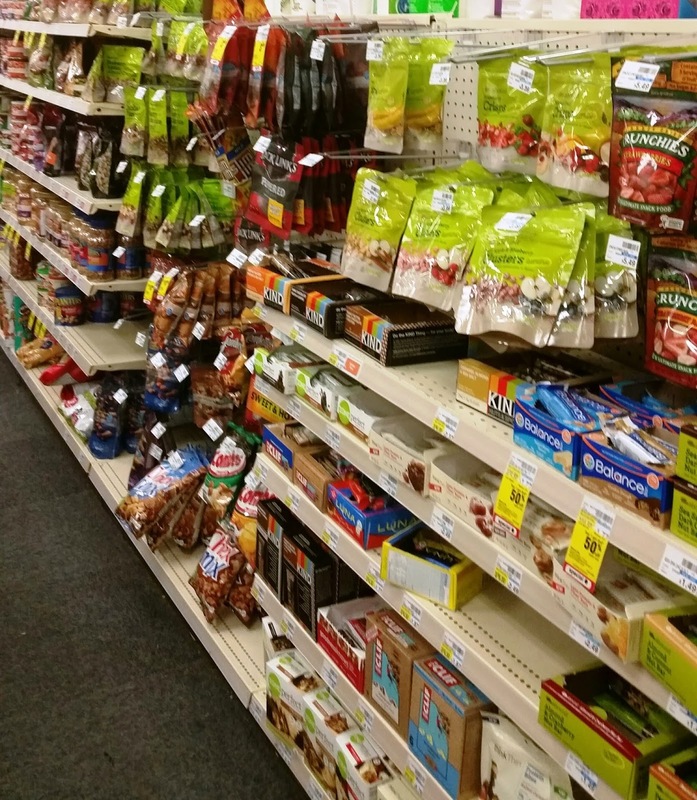 You can also walk through the aisles of CVS/pharmacy to find healthy holiday snacks such as nuts, dried fruit, nutrition bars and more. The holidays are such a busy time that it is often easy to skip your regular activity routine. One tip is to try to get up earlier than usual to fit your exercise in. I personally love hopping on the treadmill first thing in the morning, or lifting some weights in order to feel my best. This way, I can feel better about enjoying all of the yummy holiday foods.